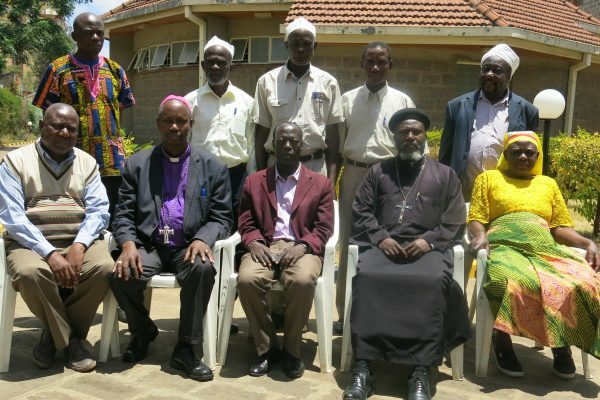 Nairobi, KENYA, 13 March 2019 (F2A) – An 11-member taskforce has been formed by representatives of the religious coordinating bodies in Kenya to support in providing inputs into the country’s school education curriculum. 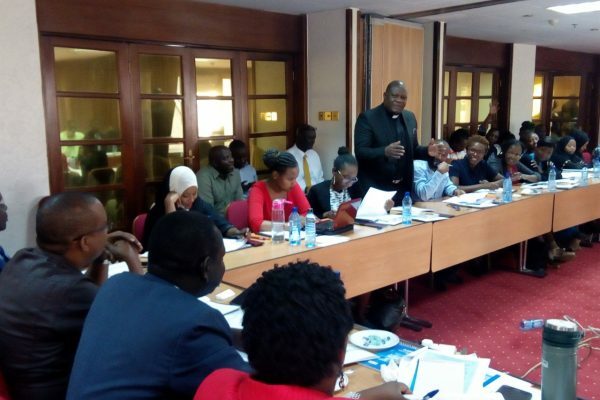 Members of the taskforce were nominated during a recently held meeting, hosted by the secretariat of Faith to Action Network, to discuss faith-based approaches to sexuality education in Kenya. The meeting was attended by Sheikh Munawar Khan (Muslim Education Council), Bishop Ngunjiri Mwangi (Evangelical Association of Kenya) and Asha Gahuri of the Hindu Council, among others. Leaders who spoke during the meeting noted the need to turn wishful thoughts into public policies. 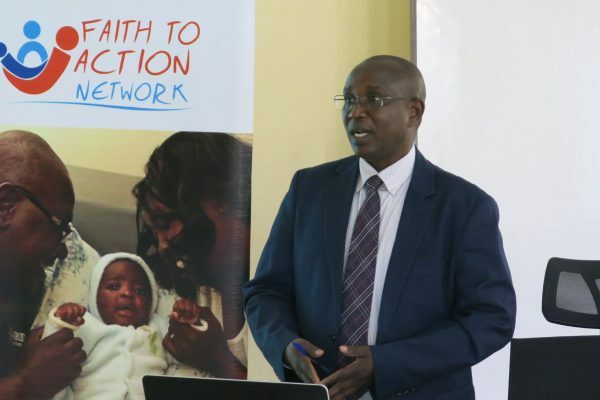 “Changes we wish to see in society remain wishful thinking until they are turned into public policies,” said Canon Grace Kaiso, chairperson of Faith to Action Network. Sheikh Abdalla Kamwana (Supreme Council of Kenya Muslims) explained the participation of the faith community in development of national school curriculum. “We are on the National Steering Committee on Curriculum Reforms as one people. There is no Hindu, Muslim or Christian – we speak with the same voice and mind,” Sheikh Kamwana said. “We were united against Comprehensive Sexuality Education, but we would like our children to be informed in a manner that is appropriate and consistent with our cultural and religious belief systems and values,” he added. Together, the leaders agreed to work together, saying they are open to working together with other people. “We can’t work in silos as we are all for the same people. We are open to working with others,” said Canon Kaiso. The leaders also noted that most problems facing kenya including corruption and teenage pregnancy are related to morality. 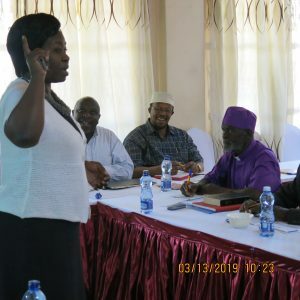 “The faith community is best placed to provide guidance on values and morals in society,” said Father Joseph Mutie, the chairperson of the Inter-Religious Council of Kenya (IRCK). He said Kenya is a society in transition and the guidance of faith leaders is the best aid to navigate the complexities of modernity vis-a-vis cultural and religious values. The reflections were drawn from a presentation by the National Council on Population and Development (NCPD) on the need to invest in health, education and economic sectors in order to realize Demographic Dividends. “The DD roadmap provides a pathway for Kenya to harness the potential of its youth for faster economic development,” said Ms Irene Muhunzi (NCPD) in her presentation during the meeting.